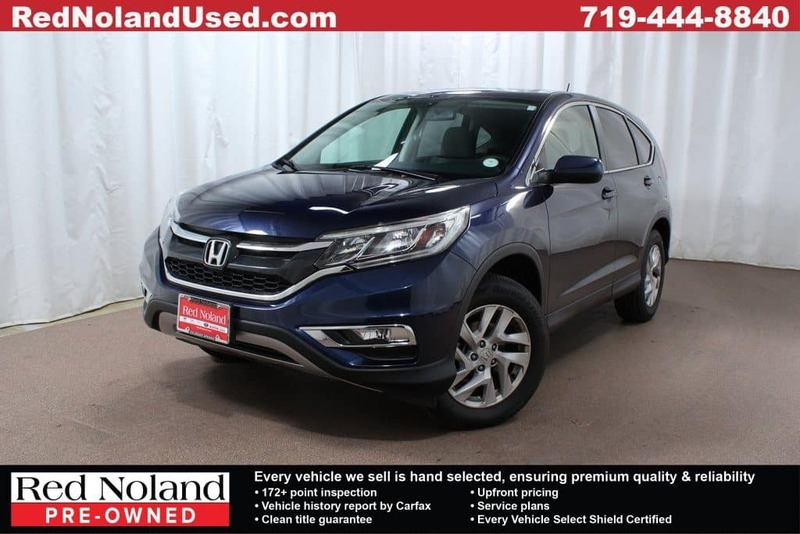 Enjoy quality and efficiency with this gently used 2015 Honda CR-V EX AWD for sale at Red Noland Pre-Owned in Colorado Springs. This clean CarFax, one-owner crossover SUV features power moonroof, rear parking camera, front fog lights, security system, heated front bucket seats, and speed-sensitive wipers among the many exciting features. The efficient yet powerful 2.4L I4 engine provides an estimated 26 mpg city and 33 mpg highway! The Honda name means you can count on quality! This CR-V has just over 37,000 miles on it and is priced to sell quickly at only $18,998. Stop by Red Noland Pre-Owned today to get to know this efficient and fun-to-drive gently-used Honda CR-V!